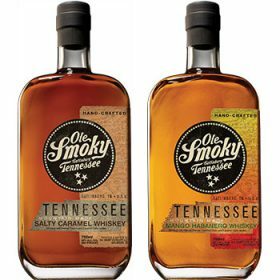 East Tennessee-based Ole Smoky Distillery is set to introduce Ole Smoky Straight Tennessee Bourbon and two flavored whiskeys across the US and Canada. Ole Smoky Straight Tennessee Bourbon, Ole Smoky Mango Habanero and Old Smoky Salty Caramel ­will roll out to bars, restaurants, and retail stores this autumn. Up until now, the whiskeys were only widely available in Tennessee and with limited availability in Georgia and Colorado. Ole Smoky’s whiskey line began when the company rebranded the former Davy Crockett Whiskey and renovated their distillery in February 2016. “We are confident that this business endeavor will bring the company great success. Having two categories under the very powerful Ole Smoky brand is a huge win, and we know it will be a great opportunity to increase our fan base,” said Ole Smoky CEO, Robert Hall. One of the first national accounts to stock Ole Smoky whiskey on a larger scale is sports bar/restaurant chain Buffalo Wild Wings. National restaurant chain Twin Peaks will also be adding Ole Smoky Salty Caramel Whiskey to their menus this fall. “The whiskey line is a great addition to Ole Smoky’s collection of moonshine,” said Ole Smoky’s president of wholesale, Michael Bender. Earlier this year, Ole Smoky Distillery released a limited edition moonshine named after a fictional alcoholic drink on WGN America’s TV series Outsiders.